A new community scheme is putting hundreds of tins of leftover paint to good use. 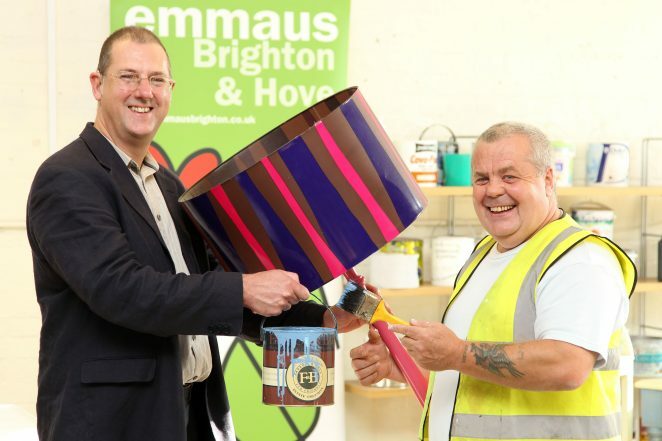 The Community Repaint project was launched at Brighton & Hove City Council’s Hove Recycling Centre in June to cut the amount of unwanted paint going to waste. Since then around 1,000 litres of paint have been re-used free of charge by community groups, charities and people on low incomes – enough to paint the city’s historic Royal Pavilion, and still have some left over! People with unwanted tins of paint gathering dust in their shed, garage or loft can drop them off at the Sussex Central YMCA charity shop located at the recycling centre off Old Shoreham Road – where charities, community groups and people on low income can then pick them up for free. Paint is available free of charge to pensioners, people on income support and students.